Discover the best exercises for cutting fat fast. The fat burning exercises and workouts on this page will help you cut fat and get a ripped physique. Quality vs. Speed. The quality of weight loss is much more important than the speed of weight loss. You should aim to achieve maximum fat loss, while preserving as much muscle mass as possible. Diet is King. Yes, exercise is very important to accelerating fat loss. However, the most critical component of cutting fat is adhering to smart bodybuilding diet for cutting. You can exercise all day long, but if your diet consists of cheese wheels and deep fried butter sticks, then you simply will not lose weight. In other words, you must eat fewer calories than you burn in order to cut fat. That being said, I’ll list and explain the best exercises and workout methods for cutting fat fast. Cardiovascular exercise is a very effective way to cut fat, while also improving your health and general fitness levels. Compound weight lifting exercises reign supreme for fat loss because they require you to expend more energy, compared to isolation exercises. 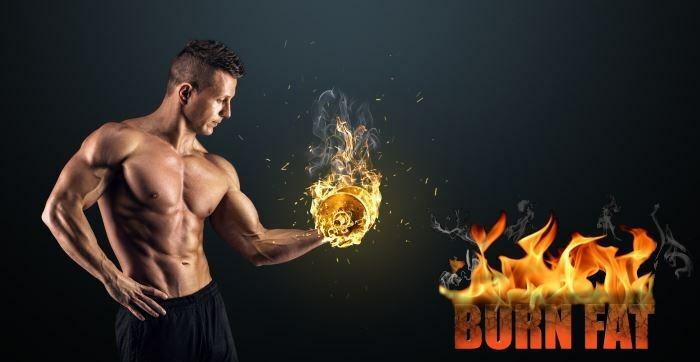 More energy used equals more calories burned, which means you have a greater ability to induce noticeable fat loss. All compounds lifts are great fat burners, but I’ll only list the top 3 compound exercises for cutting fat fast. One of the best types of weight lifting routines for cutting fat (at least for beginners and intermediates) is a 3-4 day full body routine (try MYx8 if you’re new to lifting). I do not recommend doing body part split routines like Max OT when cutting. Body part splits involve hitting one or two muscle groups per workout, 5+ days per week. You Burn More Calories. On average, you burn more calories and fat per workout because (quality) full body routines utilize major compound lifts, which require more energy (i.e., more calories burned). You Have More Time for Cardio. You do not have to worry about a body/split routine taking up 5-6 days a week. Cardio is easy to do on the off days because of the 3-day nature of the workout routine. You Preserve Your Strength Better. You are likely to lose strength when cutting calories. It is difficult to avoid strength loss, but it is very possible to minimize it. Full body routines do this because they involve frequent use of the major exercises, thus allowing you to move the heaviest amounts of weight and preventing your strength gains from deteriorating. Note: An upper body/lower body split may be more beneficial for more experienced weight lifters. Remember, you won’t burn an ounce of fat using these fat cutting exercises and workouts unless you’re eating fewer calories than you expend. So read up on how to create a bodybuilding diet to design an effective cutting diet plan.